Whatever the driving conditions the g-Force Profiler provides exceptional grip and steering control. 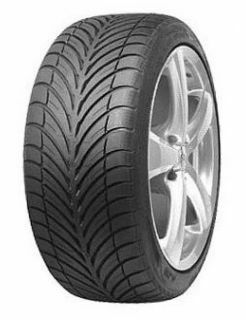 Sporting a unique design, this tyre's incomparable grip really comes into its own on corners, proving excellent handling and control. A unique design featuring solid, square-shaped shoulders, give drivers a more sporty driving experience. With a unique, dynamic look and symmetrical palm-tree tread pattern, maximum grip is achieved. The tread pattern is also perfect for water dispersal.